Discussion in 'The Real World' started by H2O boy, Mar 4, 2009. Sorry to break it to you but things aren't going your way. Good thing you backed out on making that bet with me huh? President Obama's favorability rating is at an all-time high. Two-thirds feel hopeful about his leadership and six in 10 approve of the job he's doing in the White House. 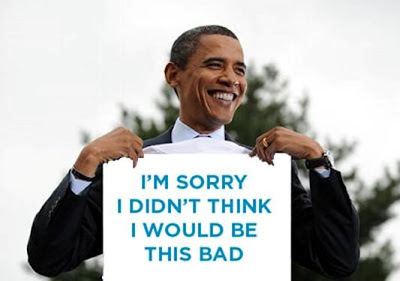 "What is amazing here is how much political capital Obama has spent in the first six weeks," said Democratic pollster Peter D. Hart, who conducted this survey with Republican pollster Bill McInturff. "And against that, he stands at the end of this six weeks with as much or more capital in the bank." Poor Cerise, it must make you so frustrated to have Obama's approval growing while yourparty makes itself irrelevant. Maybe you need a hip hop makeover. By comparison, the Republican Party — which resisted Obama's recently passed stimulus plan and has criticized the spending in his budget — finds its favorability at an all-time low. It also receives most of the blame for the current partisanship in Washington and trails the Democrats by nearly 30 percentage points on the question of which party could best lead the nation out of recession. um, popularity? please, spike, how about something of substance? come on, it's been, what, five weeks since he took office, how come the economy is still bad? The Rasmussen Reports daily Presidential Tracking Poll for Wednesday shows that 42% of the nation’s voters now Strongly Approve of the way that Barack Obama is performing his role as President. Twenty-six percent (26%) Strongly Disapprove to give Obama a Presidential Approval Index rating of +16 (see trends). Democrats hold a two-point advantage on the Generic Congressional Ballot. Thursday, February 26, 2009 3:32 PM The media may be smitten with President Barack Obama, but recent Gallup poll results show Americans giving the new president lower marks after one month in the White House than former President George W. Bush earned at the same point in his administration. Heading into this week’s address to Congress, the Gallup figures showed 59 percent of Americans approved of Obama’s efforts so far, while 25 percent disapproved, and 16 percent had no opinion. According to PollingReport.com, President Bush had a 62 percent approval rating one month into his first term, with 21 percent disapproving, and 17 percent having no opinion. Within a year, Obama’s ratings will be below 50 percent. He will probably vacate the office by the mid-term election in 2010, forced out by his own party. Here's the actual numbers Cerise. Obama will continue to fristrate you within 1 year and in 2010 while you continue to fantasize and disconnect yourself from reality. The republican party will continue to ne irrelevant. well that's how they sold it, to get elected. remember even hillary making fun about the skies opening up? But you promised us "plummetting faster than rosie odonell in a wave pool"? So either you're wrong or Rosie stays up for a long time. Because Obozo wants it to be. The market hasn't been bobbing up and down day to day since he was selected. It has been plummeting. It has collapsed nearly 30% since November, and nearly 20% since January. FLOWERY BRANCH - Flowery Branch City Manager Bill Andrew said Wednesday that from what he’s seen so far when it comes to getting federal stimulus funds cities have to be able to spend money to get the money. Right now, Andrew said Flowery Branch does not have the money to spend to get projects eligible or "shovel ready," nor does the city have the money to pay back federal loans. Andrew said state officials are telling him stimulus money is coming down the federal pipeline for loans, not grants. I don't think I'll buy stock in him, but I don't guess a choice is any closer to within grasp. Stop that Bish! How is she ever going to get along if you keep contradicting everything she makes up with facts? Half an up day does not a bob make. Perhaps you should be looking at daily charts instead of quarterly or 1/2 yearly. Most stocks bob throughout a typical day..as does the DJIA. The DJIA's been dropping heavily since November 08 or so... and it, like many stocks, are based on confidence...not confidence in the President, but confidence in the banks and their ability to provide credit and secure deposits. Which is precisely why banks are being bailed out of their bad paper... to rebuild confidence in the banks.